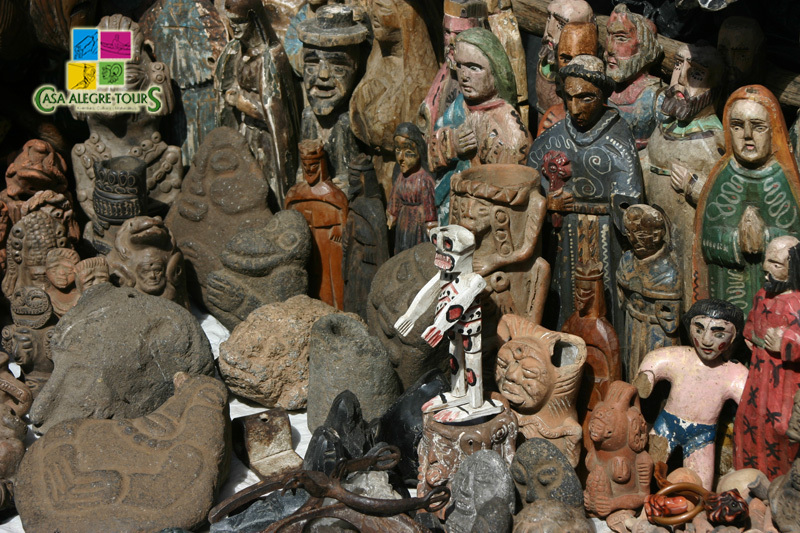 The Chichicastenango Market is perhaps the most ancient and traditional handycrafts and textiles indigenous market in Central America, with deep roots in pre-Columbian traditions. 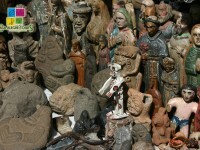 The main market days are every Thursday & Sunday. Visit Chichicastenango Traditional Market on the western highlands at El Quiche, Guatemala a famous market where you can find from a textile or wooden mask to a chicken or pig to flowers at the base of Santo Tomas Church. The Colonial Santo Tomas Church, a 400 years old church built on top of a Mayan Alter, still visited by Mayan Priests to burn inciense and candles. 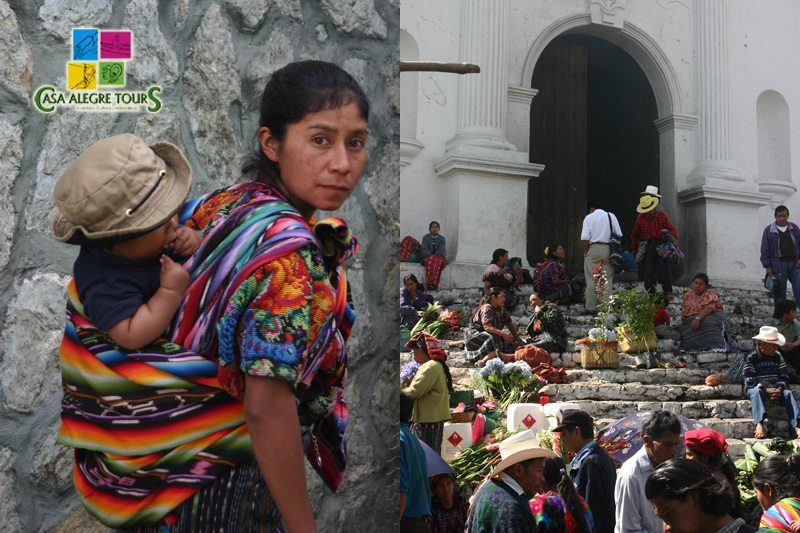 Chichicastenango Mayan language is Quiche, derived from proto Maya and spoken by a large part of the population. Alongside Santo Tomas Church lies the Regional Museum, housing a collection of ancient artifacts recovered from different sites including jade and ancient carved sones and ceramics. Pascual Abaj is a Mayan Ceremonial Site, located at the south side of the city on a small hill. An easy to find place just ask for directions. From the masks workshops -morerias- there is a path surrounded by trees up-hill. The walk is beautiful, covered with pine trees, evergreen. 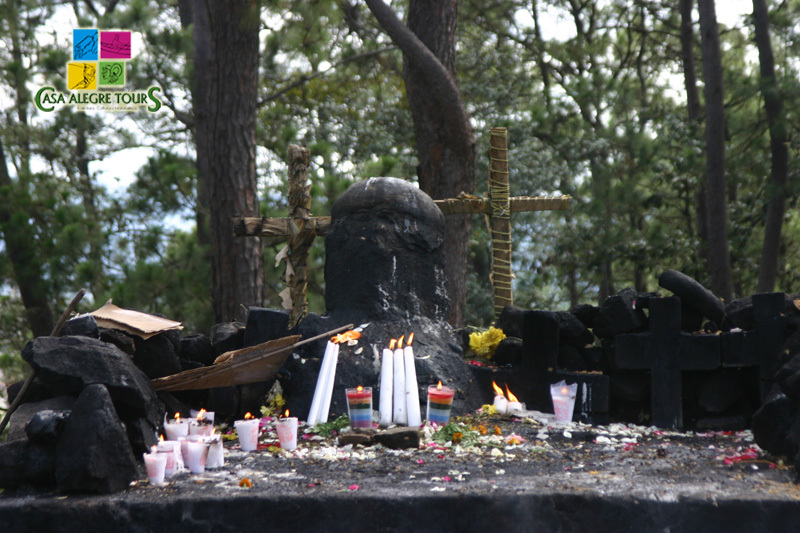 At the top, the first thing to see is a black statue, almost in shape, blackened by smoke: is Pascual Abaj. Pascual Abaj in Maya means “stone of sacrifice.” It is a shrine to Huyub Tak’ah, Mayan earth god whose name means “mountain plain.” It is said that this stone idol, indescribable, has hundreds or even thousands of years. 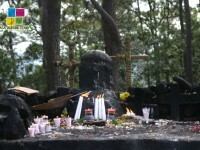 It has suffered some damage by foreigners, but all the people of Chichicastenango will still venerated. This entry was posted in Guatemala Tours and tagged ceremonia maya, Chichicastenango, cultura maya, culture tradition, Mayan Ceremony, Pascual Abaj by Casa Alegre. Bookmark the permalink.